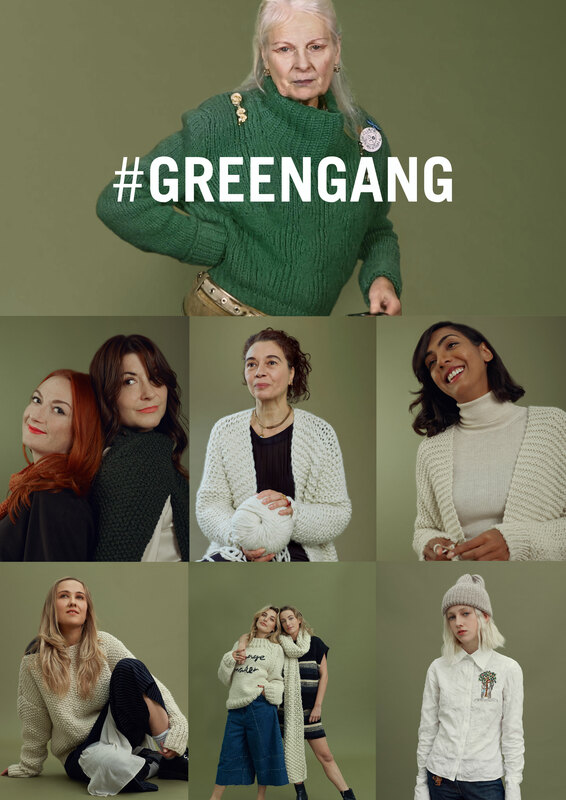 Wool and the Gang has come together with Friends of the Earth to raise £50,000 to help fight climate change. Every time you buy a knitting kit or ball of wool from our new Heal the Wool collection, we’ll donate 30% of the yarn price to Friends of the Earth. There are 9 new kits in total, so get knitting to help us reach our £50,000 goal. You can see the new collection here. Friends of the Earth (FoE for short) do amazing things for the planet. They’re the world’s largest environmental campaigning community that brings together different planet-loving organisations in over 70 countries. Their aim is a big one: to protect the natural world and to improve the wellbeing of everyone and everything in it, now, and for generations to come. Persuaded the government that bee-harming neonic pesticides must be banned. The vote is planned for December, and you can sign the petition here. Campaigned to keep our climate safe by winning the introduction of the first national climate change act and championing safe, renewable energy. Delivering activism training designed to give people the confidence and know how to take action on issues that they care about. Just ran an award-winning anti-fracking campaign. From day one we’ve strived to be responsible in the way we work, how we source our product, how we make it, and in choosing like-minded people to work with. There are lots of little actions we can all take to tackle climate change - low energy lightbulbs, smarter recycling, tweaking our diets - when we all get involved we make a big difference. Like us, Friends of the Earth aspire to bring people together – say hello to the #GREENGANG. We’ve brought together a gang to inspire one another through all the small, daily things that we can do to look after our planet. Little things, like taking reusable bags to the shops or washing at 30, make a difference – it encourages us to change our mindset, which can lead to bigger and even better things. It’s about being in (kn)it together. Remember to share the #GREENGANG on social media whenever you’ve done something to make a difference, however big or small. And to kickstart the #GREENGANG we’ve reached out to 11 women who are doing interesting things for the good of our planet. Read our exclusive interviews here. ALL FOR ONE AND ONE FOR WOOL. Funds raised from sales of Heal The Wool will be donated to Friends of the Earth, England, Wales and Northern Ireland.